On Saturday, October 25, 2014, we proudly hosted our 3rd Annual Apple Pie Party & Contest. of our congregation hosted a bake sale. In May, 2014, St. Paul's celebrated a Mass of Confirmation and Reception with the Bishop. 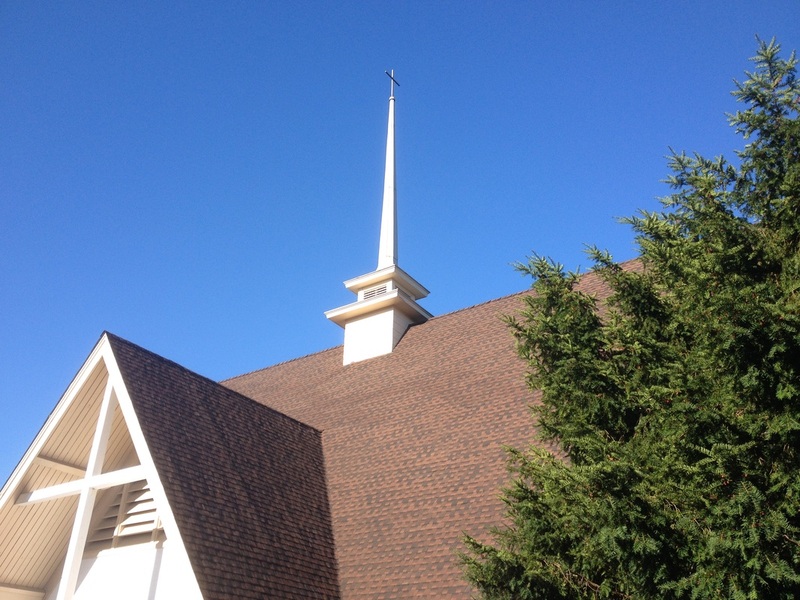 After many years of service, the roof of St. Paul's needed to be replaced. In October, 2013, the new roof was installed. Here are some shots of the old roof, the installation of the new roof and the finished new roof. On September 29, 2013 Father Sean Slack was formally installed as Priest of St. Paul's Episcopal Church, Levittown, PA and All Saints Episcopal Church, Fallsington, PA. After the mass, a celebration was held in St. Paul's Parish Hall.